The world lost two talented bruthas' this weekend in the form of hilarious comedian Bernie Mac and the soul legend Isaac Hayes. 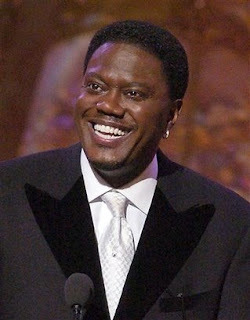 Bernie Mac, born Bernard Jeffrey McCullough in Chicago, Illinois was a stand-up comedian before making many notable acting appearances in both Television and the silver screen. Most notable among them were roles in Ocean's 11, 12 & 13 and the multi award-winning The Bernie Mac Show. Bernie Mac is forever immortalised in the greatest movie of the decade - Transformers where he lends his comedic genius to Micheal Bay as Bobby Bolivia the car salesman that sold Bumblebee to Sam. Mac went into hospital in Aug 1st with pneumonia. Unfortunately he died as a result of complications on Aug 9th. He was 50. 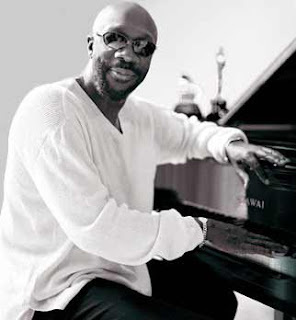 Isaac Hayes, born Isaac Lee Hayes, Jr. in Covington, Tennessee was a soul and funk singer-songwriter, musician, record producer, arranger, composer, and actor. His notable acting appearances include, Robin Hood: Men in Tights, I'm Gonna Git You Sucka, Stargate SG-1 but he'll be most remembered in this field for giving life to the soul-singing school cafeteria worker Chef on the long running adult animated series South Park. Among Hayes' best known musical works are Soul Man (1967) which he wrote with David Porter for the duo Sam & Dave. In early 1971, he composed music for the soundtrack for Shaft for which he won an Academy Award for the Theme from Shaft, and was also nominated for Best Original Dramatic Score. Many years later in 1999 his association with South Park generated a hit song Chocolate Salty Balls (P.S. I Love You), which reached number-one on both the UK and the Irish singles chart. Sadly in 1995, Hayes embraced Scientology and started to go a bit nuts. He appeared in nut-job Scientology films and created some Scientology music over the years. On March 20, 2006, Roger Friedman of Fox News reported that Hayes had suffered a stroke in January. Hayes' spokeswoman Amy Harnell denied that Hayes had had a stroke, but on October 26, 2006 Hayes himself confirmed that he did, (this is to be used to confirm universally that everything on Fox News is actually the truth, even if denied). On August 10th Hayes' wife found him on the floor near a treadmill at his home in Memphis, Tennessee. The cause of death was not immediately known. He was 65. In what will be seen as one of the greatest coincidences of the 21st century: Both Bernie Mac AND Isaac Hayes will appear with Samuel L. Jackson in the new film Soul Men, due out in November. Spooky! These things go in threes, does this mean that Mace Windu is next? Isn't that terrible? I was thinking the same thing. It's not terrbile at all, Connie, After all you know what they say about Great Minds. @ Civvy: No but I can arrange for it to be you for tempting fate. @Connie: I think that's a perfectly natural reaction to something so bizarre. No doubt this fact is plaguing the sleepless nights of millions since reading about it at the weekend. Have no fear, you are not alone. @ Civvy: Does this mean I have a great mind? Thirdly, Creedon: Your bizarre theories on time travel qualify you for some kind of mind. Great? Sure. Why not? Ms. Dammit!, I'm afraid, I do have that effect on the ladies. Lt.Col, now now, settle down there or I'll have you thrown in the stockade, again. You do realize that if we where to bestow the title of the great upon you, Lt.Col, that your name in Latin would be "Whopper Magnus" sounds like the adult version of Transformers. "Whopper Magnus", more than meets the eye, eh? I haven't been required to call anyone "Whopper Magnus" since my boy-scout days . . . .
Civvy, did you even take Latin? Good lord, what is the world's educational system coming to? The noun has to agree with the adjective!!! What you are looking for is "Whopperus Magnus." Bruce, I went to the Christian Brothers, I feel your pain. And in honor of our celebration of a fine dead language, I made a lovely display of some our books in Latin, including "Winnie Ille Pu" et "Regulus" et "Quomodo invidiosulus nomine Grinchus Christi Natalem abrogaverit"
EGO iustus perfectus lectio "nunc EGO ero invictus", valde amusing libri.